Patriotic Smoke Fountain 3-Pack | BUDK.com - Knives & Swords At The Lowest Prices! 2 or more only $4.00 each! 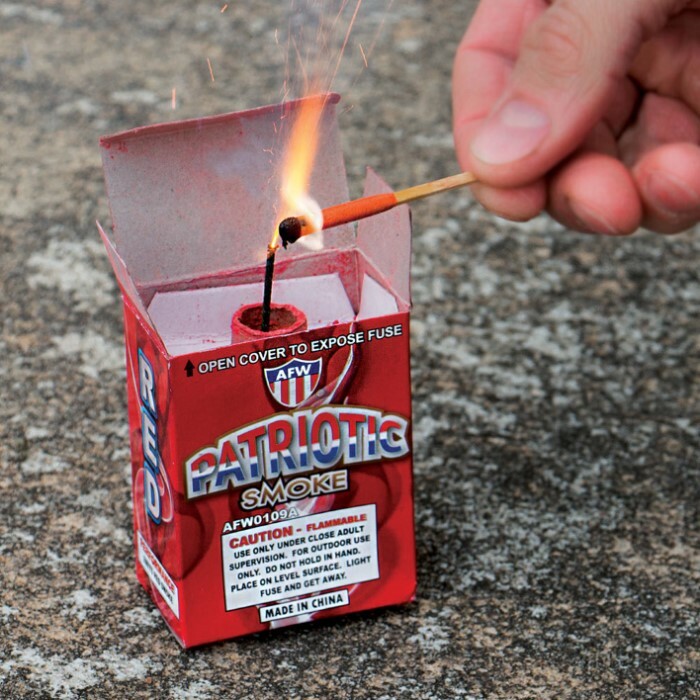 Get a jump on the Fourth of July this year! 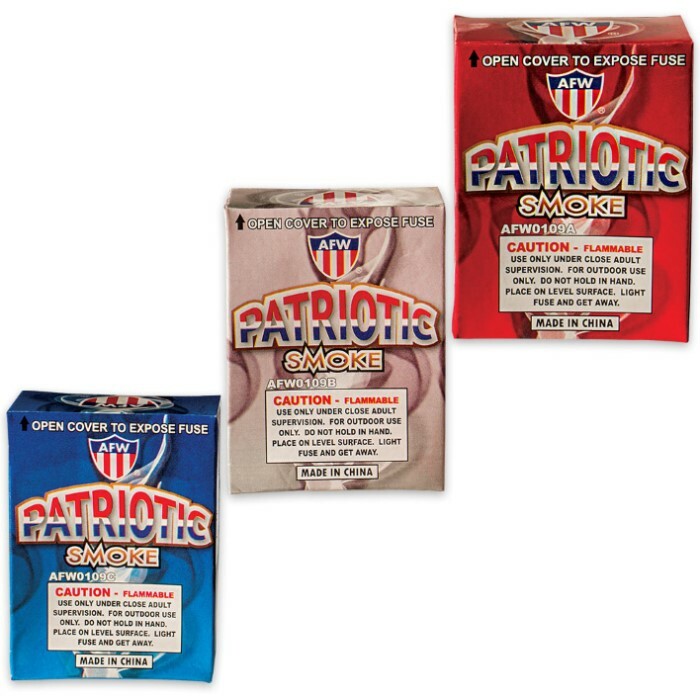 Make it a big occasion with our new Patriotic Smoke Fountain 3-Pack. 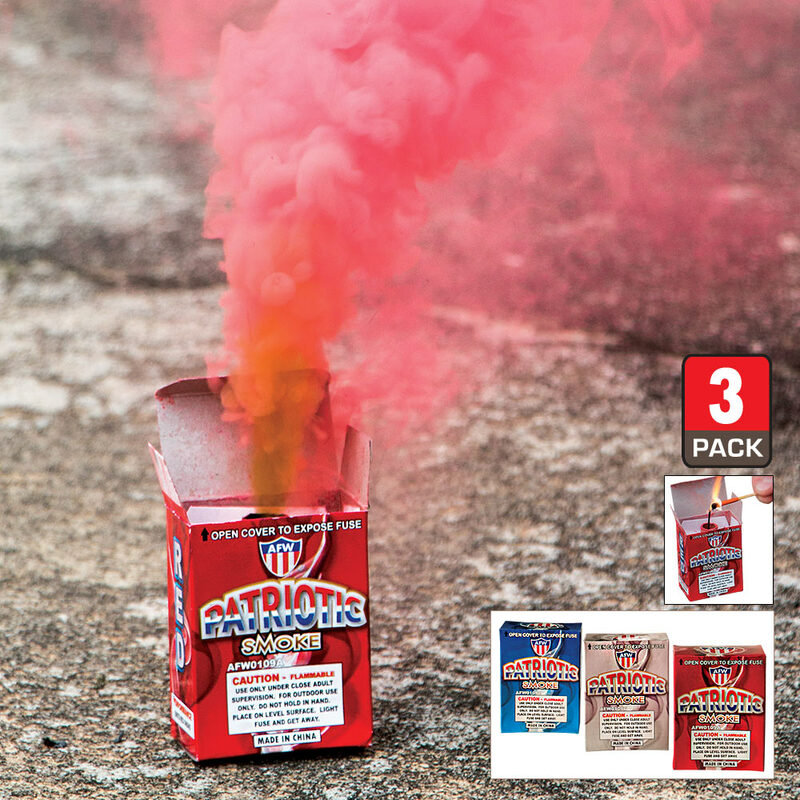 You get a red, white and blue smoke fountain in each package. These smoke fountains will last up to 90 seconds.